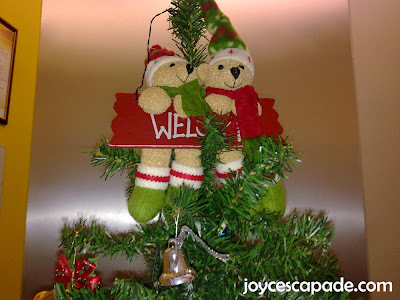 The Christmas season in the office is hyped up with simple Christmas decor. 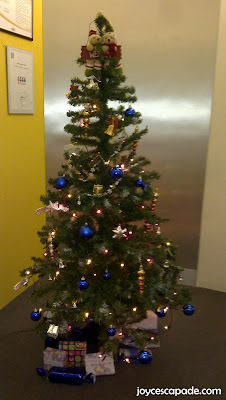 There's a nicely done up Christmas tree on the third floor that faces the main door. It looks much prettier in real life with tiny blinking light bulbs. 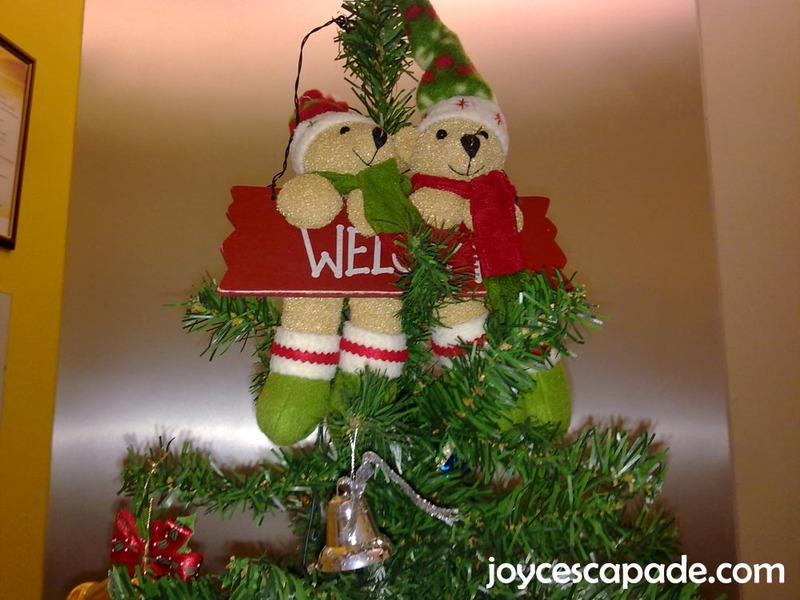 A pair of bears holding the word "Welcome" is perched on top of the tree. There's another Christmas tree on the second floor. A colleague places an empty Krispy Kreme box with the words "Merry Christmas" on top of the tree. Ahhh... I haven't done my Christmas shopping yet. 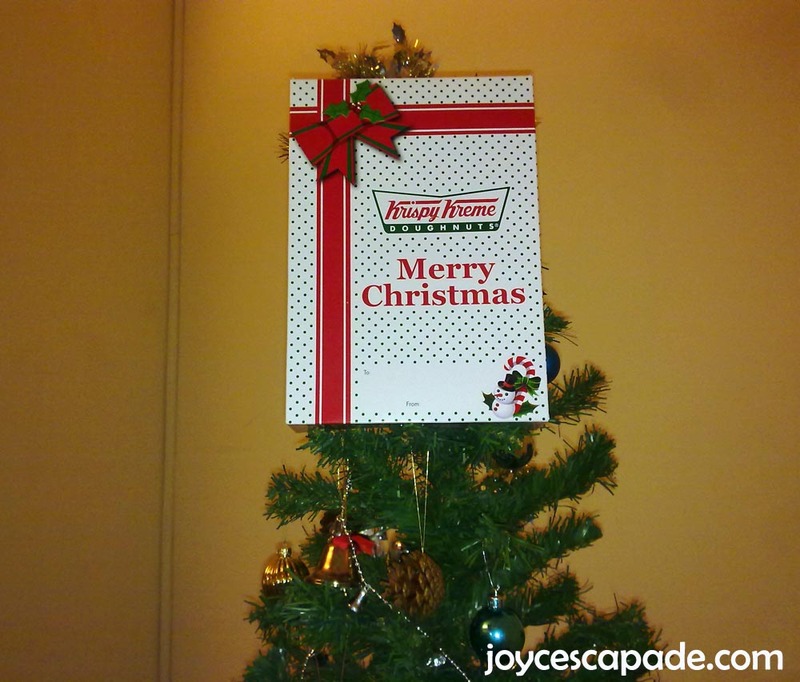 I heard that major shopping malls in Klang Valley are already getting their Christmas decor done up. I like the romantic white Christmas theme at The Gardens Mall.